Cut to suit your rack and track rod. Just measure your Rack and Track Rod diameters and cut the gaiter to suit with a pair of scissors. Track Rod end sizes (ID): 12.5mm, 32mm, 40mm. Steering Racks end sizes (ID): 40mm, 50mm, 60mm. 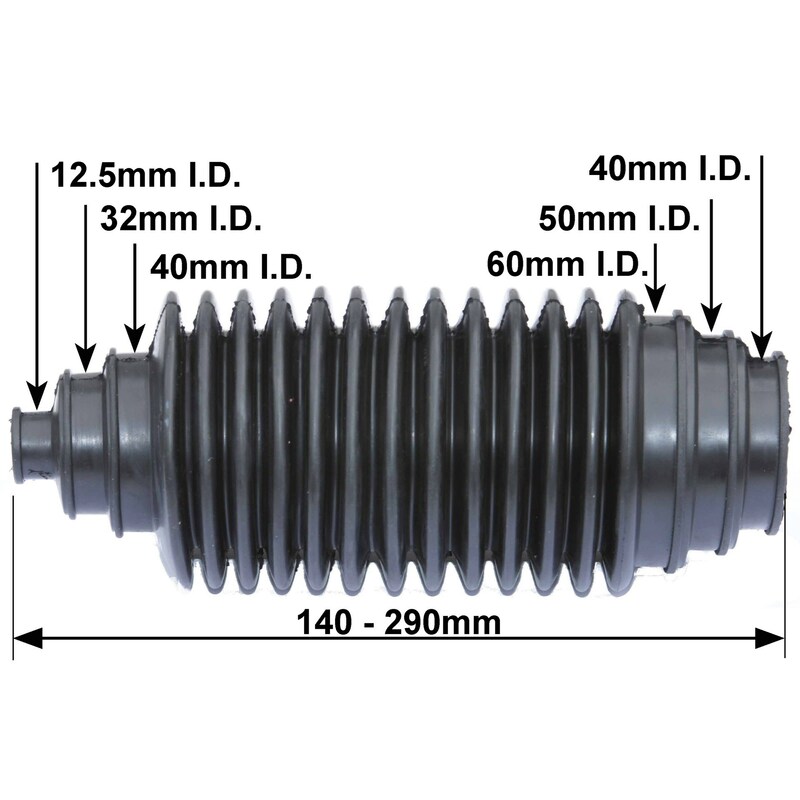 Length compressed 140mm. Length stretched 290mm. 30mm ID x 115mm Long. 100mm diameter x 24mm high. 4 x 5mm fixing holes@ 66mm centres. 45mm hole in back .